Now, I had just been sitting in a calm church service, my mom seems to think we’ve all died, or been maimed or that something horrible had happened to us. It took me a moment to wrap my mind around her panic. “Yeah, we’re fine, Mom.” And I tried to sound nonchalant, “Why?” Ya know you don’t want to sound accusatory toward your mom. Read the entire story at The Organic Prepper Website. 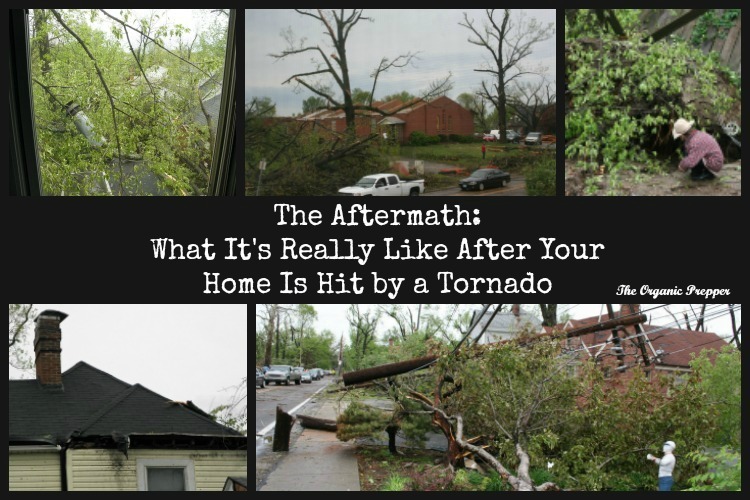 Aftermath, Food, Organic, Prepper, tornado.